The Nipissing People have had dominion of their territory since time immemorial. On January 10, 2014, the Debendaagziwaad (the People, those who belong to Nipissing) voted in favour of their commitment to each other by ratifying Nipissing Gichi-Naaknigewin (Big Law or Constitution – What governs us) through a community referendum and in accordance with the values and principles upon which our heritage has existed. 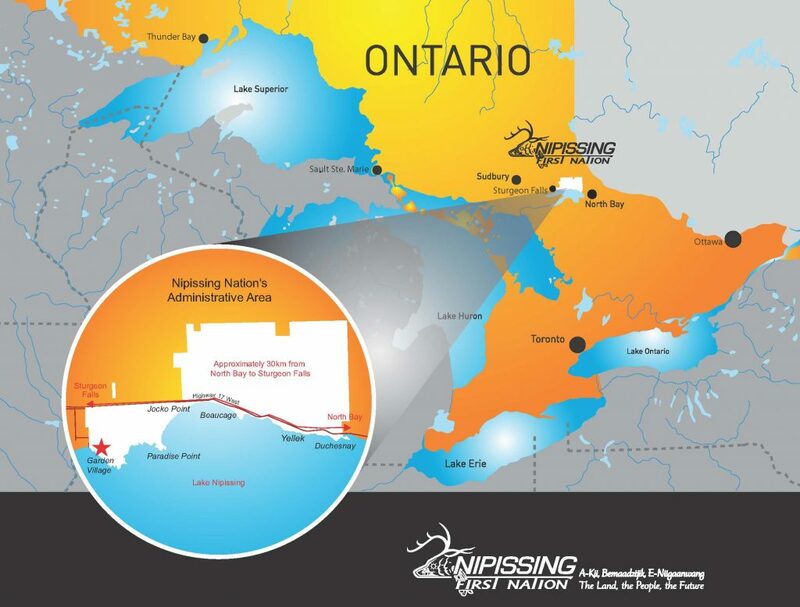 This was a historic occasion as Nipissing First Nation became the first of the 40 Anishinabek Nation communities across Ontario to ratify a constitution. The Gichi-Naaknigewin had been in discussion for eight years and this favourable vote proved that the People had faith in the document and in moving towards self-government. 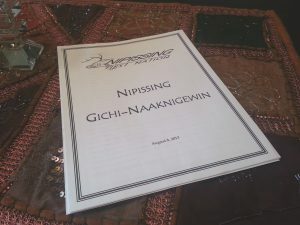 The Gichi-Naaknigewin sets out the values and beliefs of the people of Nipissing and is an exercise of inherent Indigenous rights in Canada. It contains fundamental guidelines that will help maintain our community for seven generations by ensuring peace and order, equality, and the rights and representation of the people. 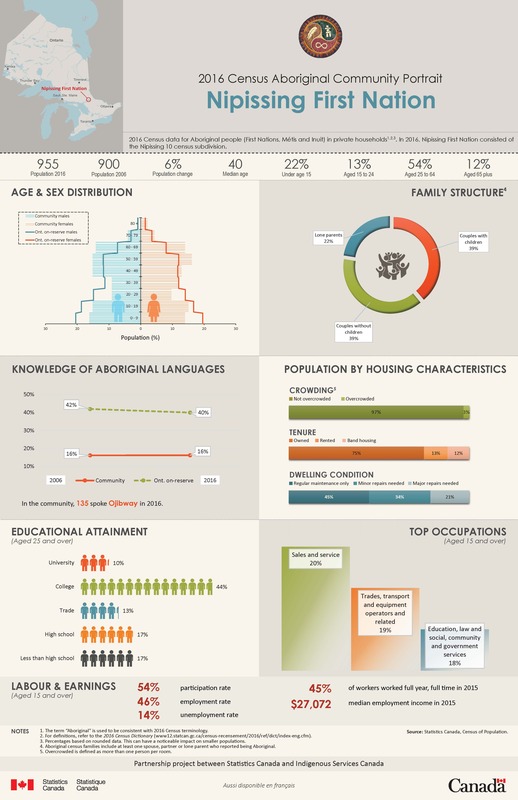 It is significant because it replaces the Indian Act as the Nation’s governing document. This Gichi-Naaknigewin serves to guide, protect and uphold the values of unity, justice, tranquility, accountability and good governance while endeavouring to enhance the pursuit of prosperity for all Debendaagziwaad (the People, those who belong to Nipissing). It confirms the rights, responsibilities and freedoms of the Nation’s Debendaagziwaad, its government and its governing institutions.